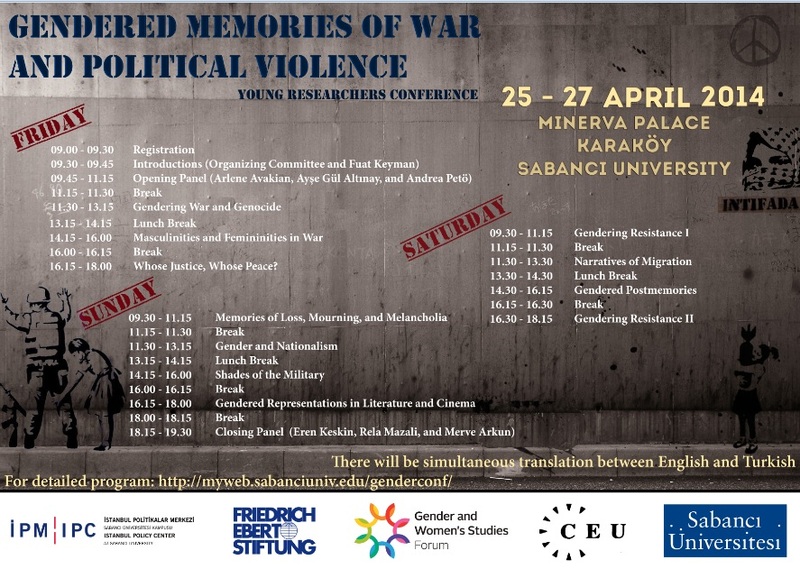 Gendered Memories of War and Political Violence Young Researchers Conference aims to create a platform for sharing of a diversity of experiences in research, civil society, and activism on the focus of the conference. We hope to build a network for young scholars, activists, and members of civil society from different regions of the world and make visible the gendered aspects of war and political violence in academic and civil society spheres. The conference is public and there will be no registration fee.